According to the Energy Saving Trust, over half of the typical UK household’s energy bill goes towards heating and hot water. And as fuel prices continue to soar, the need for efficient and cost-effective heating systems has never been so urgent. 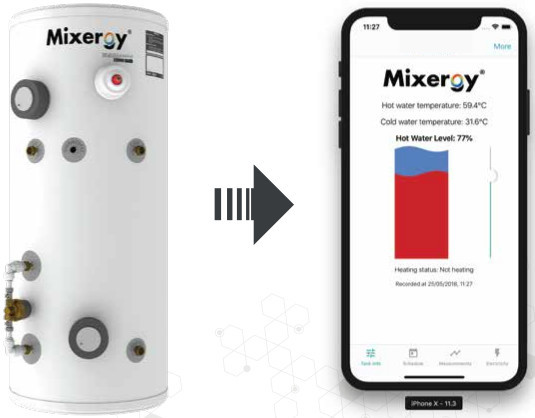 In this article, My Plumber, the company awarded the contract to install Mixergy Tanks in London explains the benefits to this new smart heating technology. Unlike traditional hot water tanks which have to heat the entire tank’s water volume regardless of the actual amount that is needed, this digital tank only heats what you need. With it, gone are the days when one would waste energy and money heating all or nothing, in addition to the long periods that one would have to sit and wait for the water to attain suitable temperatures. With the help of a unique internal heating system and inlet diffuser, this tank will allow you to save enough energy to make up to 10,000 mugs of tea per year. To facilitate a consumer’s efforts to curb their carbon footprint, these hot water tanks can be heated by solar thermal (ST)/ Photovoltaic (PV) and air/ ground source heat pumps (ASHP/GSHP). As such, you can use the leftover energy from your solar panels to pre-heat the cold water inside the tank. 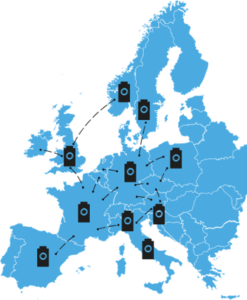 It is, therefore, a green and cost-effective solution to energy storage. The ‘Internet of Tanks’ moniker comes from the fact that the tank can be controlled from any location on the planet via an app. 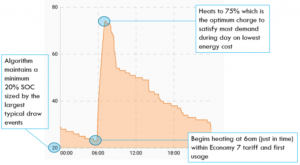 You can, therefore; set a schedule, view daily energy usage and accompanying costs, as well as know how much hot water is remaining in the tank. 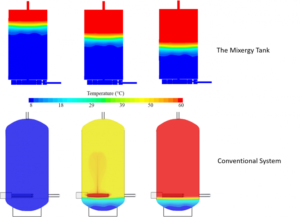 What is the Mixergy Tank? It is a hot water tank that utilises a combination of a novel inlet diffuser and an angled heating element arrangement to enhance the usage of stored hot water within a residential hot water tank. The set-up reduces the mixing of hot and cold water thus increasing the amount of hot water to be recovered from a certain preheated tank volume. The tank’s innovative design allows you to heat only what you need. This is enabled by control and sensing technologies that allow for thermal stratification. This is a phenomenon where hot water floats on top of cold water. As you continue heating, the ratio of hot water to cold water continues to increase until it reaches the volume you require. 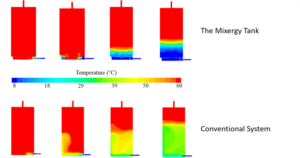 The benefit is that heat loss is significantly reduced. Additionally, if you were to use the remaining water later, heating it to desired temperatures will be five times as fast as heating cold water from the start. Conventional tanks usually heat the entire tank’s volume. However, it is impossible to use all of it unless you’ll be in there for a long time. Nonetheless, the heated water then remains after use is normally put to waste because incoming cold water will mix with it and return it to room temperatures. 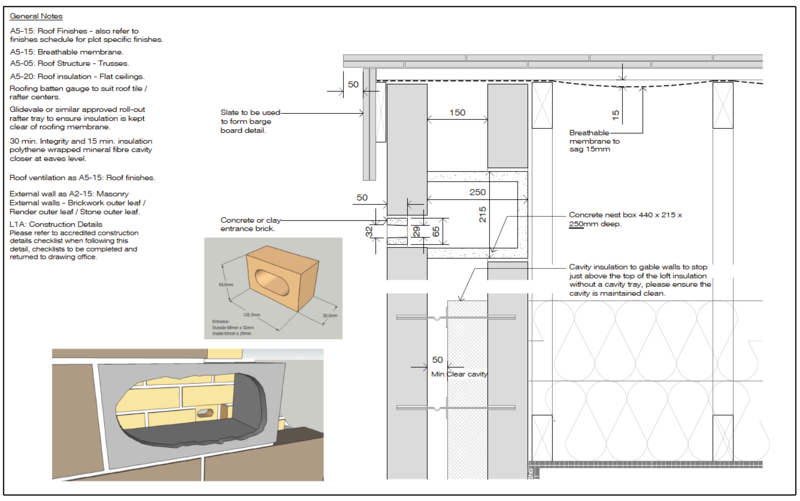 However, the tank contains an inlet diffuser that keeps the hot and cold water separate. This is not to be confused with thermal stratification where hot water floats on top of the cold. The inlet diffuser puts them into two separate volumes to ensure that, during the next use, the previously heated hot water is what comes out first. 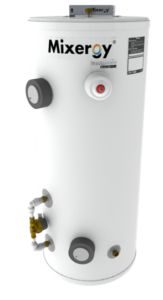 This digital tank comes equipped with a unique sensing technology that can accurately measure the volume of hot water inside the tank. An onboard computer, also on the tank, can utilise data derived from those signals to make more intelligent decisions for you. For example, the sensor might note that, on average, you usually use 60 litres out of the tank’s 300-litre capacity. After a period of data collection, the onboard computer might then decide only to be heating 70 litres instead of the 100 that you might have set. This allows for smarter control over your heating schedule to facilitate further energy and cost savings. 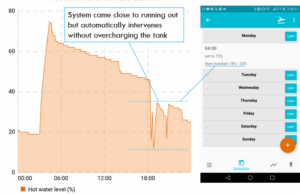 The ‘Internet of Tanks’ allows you remote access and control from your smart mobile device as well as smart control from the company’s servers to save even more energy. 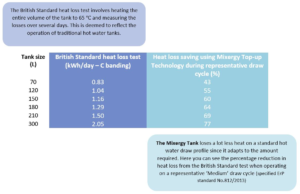 The purpose of having the tank internet-connected is to allow you to verify the system’s minute by minute consumption using real-time readings from the smart meter. The implication is that the household is able to use smart tariffs that can take advantage of renewable energy. They do this by turning on and off depending on how windy or sunny it is. Thus, it is reminiscent of off-peak tariffs such as Economy 7 that heats your tank only during the night to utilise the extra base load from the thermal plant. Since their inception, hot water tanks have remained largely unchanged. The modus operandi has always been the same; fire the heater up and wait for the water to attain suitable temperatures. In retrospect, households have been wasting thousands of pounds in energy bills because of using outdated technology. Moreover, this energy wastage has hurt the environment as we have been utilising conventional fuels for our heating needs. The planet is now in a state where each needs to reduce their carbon footprint to ensure the coming generations can find habitable earth. This is a hot water tank that embraces those ideals. Energy efficiency and cost-effectiveness are its calling cards. Homeowners looking to cut on their energy costs need to embrace this technology. Boiler wholesalers need to sell more of these energy efficient machines to facilitate their adoption. Moreover, selling these tanks, boiler wholesalers will give themselves an edge over their competition.